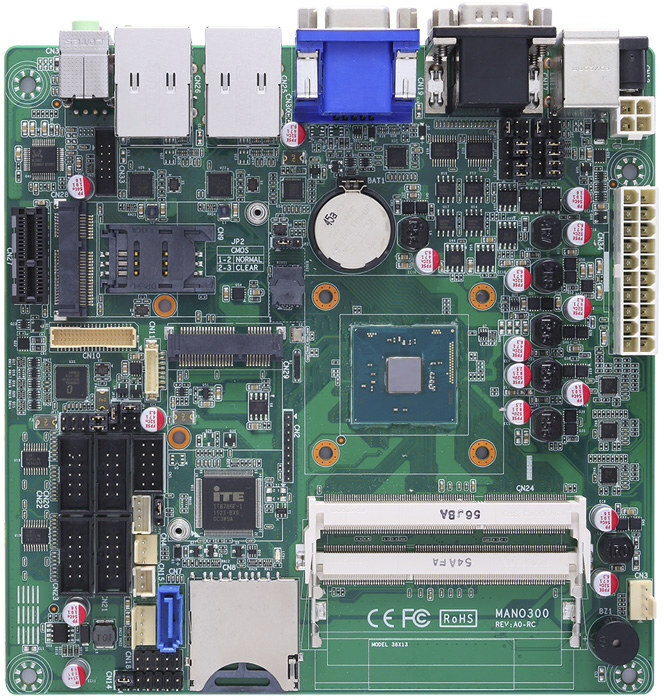 Axiomtek MANO300 is an industrial grade fanless mini-ITX motherboard powered by an Intel Celerron N3150 “Braswell” quad core processor with two SO-DIMM slots, two SATA interfaces, dual Gigabit Ethernet, several serial interfaces and more, targeting automation and embedded industries. The board is said to runs well with Windows 7 and 8 operating systems, but would also likely support Windows 10, and Linux operating systems. 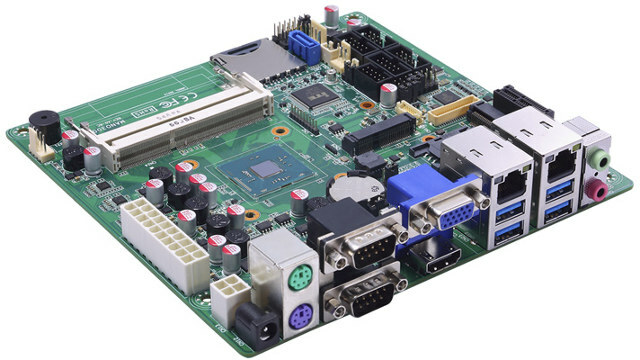 Axiomtek MANO300 motherboard will become available in January 2016 for an undisclosed price. More details should eventually be found on Axiomtek MANO300 product page. Are you sure this board is fanless ? is that “mini-ITX” or even “thin-mini-ITX”? Its friendly fanless cooling system design and compact form factor aimed at space-limit applications as well as harsh environments. I think the connectors make it a little too high to be thin mini ITX. I can state that the CPU doesn’t get much over 38-39C under load and only feels barely warm to the touch on the top of the heatsink. Realize these are 6W CPU’s and while at idle they are even less power draw. Another evidence is the motherboard has a fan threshold setting of 45C to kick on a fan and my case fan never turns on as it never hits that temp threshold. Completely silent and very cool for me. What I appreciate about *this* combo is the dual nic and assuming it comes in at a decent price this could be a killer solution for a pfsense/sophos/m0nowall setup! I just wish it was using Intel nics instead of the Realtek soft NIC crud.